H.E. Smt Panabaka Lakshmi, Hon'ble Minister of State (Textiles) with H.E. 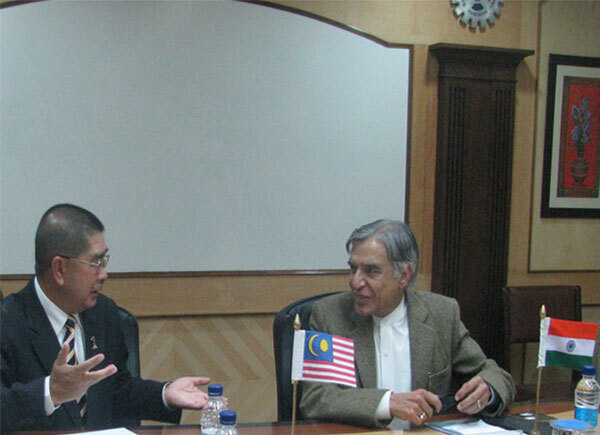 Dato' Sri Mustapa bin Mohamed, Hon'ble Minister of International Trade and Industry, Govt. of Malaysia holding bilateral talks at the 'India- Malaysia Trade and Investment Forum' in Kuala Lumpur, Malaysia on November 21, 2011. H.E. Smt Panabaka Lakshmi, Hon'ble Minister of State (Textiles) and H.E. Dato' Sri Mustapa bin Mohamed, Hon'ble Minister of International Trade and Industry, Govt. 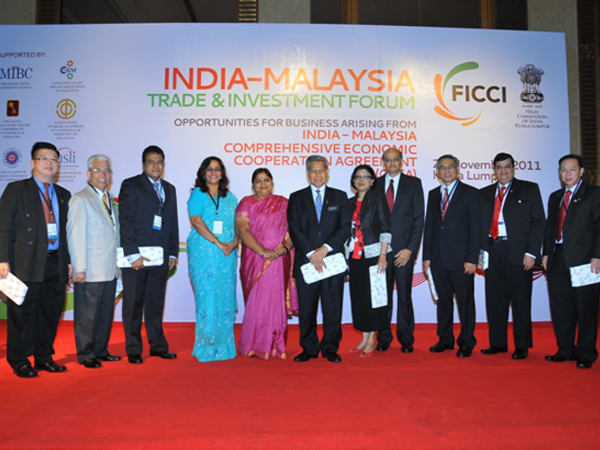 of Malaysia with other members of the delegation at the 'India- Malaysia Trade and Investment Forum' in Kuala Lumpur, Malaysia on November 21, 2011. 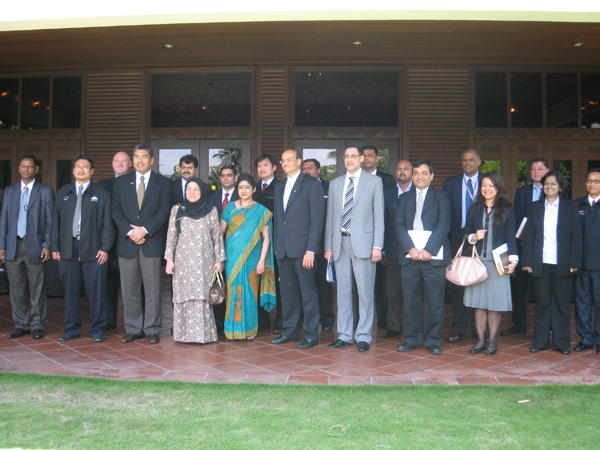 The members of Indian and Malaysian Delegation for the 1st Joint Working Group Meeting on Information Technology & Service (JWG-ITS) held in Kuala Lumpur on 12th October, 2011. 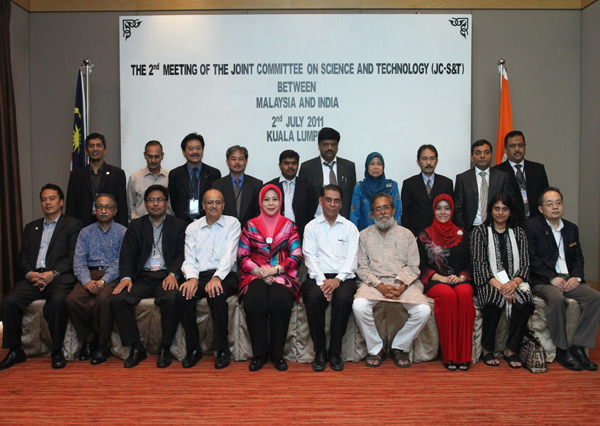 The members of Indian and Malaysian Delegation for the 2nd Joint Committee meeting on Science & Technology held in Kuala Lumpur on 02nd July 2011. The External Affairs Minister, Mr. S.M. 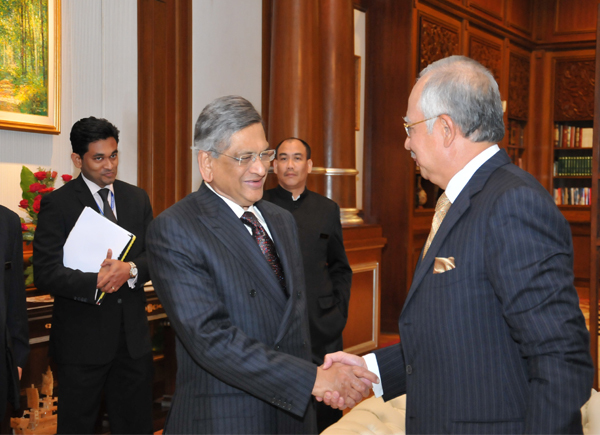 Krishna meeting with Prime Minister of Malaysia, H.E. Datuk Seri Mohd. Najib bin Tun Haji Abdul Razak, at Putrajaya on 3rd May 2011. 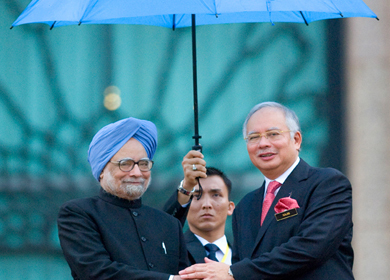 Malaysian Deputy Prime Minister Tan Sri Muhyiddin Yassin calling on Indian Prime Minister Dr. Manmohan Singh at New Delhi on Thursday, 10th March 2011. Tan Sri Muhyiddin Hj Mohd Yassin, Deputy Prime Minister of Malaysia meeting with Shri S.M.Krishna, External Affairs Minister, Dr. Montek Singh Ahluwalia,Deputy Chairman of Planning Commission, Ms. Latha Reddy, Secretary (East), and Mr. Sanjay Singh, (East) designate, Ministry of External Affairs at New Delhi. Signing of India-Malaysia Comprehensive Economic Cooperation Agreement (CECA) by Mr Anand Sharma, Indian Minister of Commerce & Industry and Mr Mustapa Mohamed, Minister for International Trade & Industry at Putrajaya on 18th February 2011. Prime Minister Najib witnessed the signing of the agreement.